Lighting Berlin: Welcome To Our Blog! Hello there! Welcome to our very first blog post here at Billows Lighting & Design Center. We’re excited you’ve found your way to our website. If you’re in the market for some new lighting for your home or office, you’ve stumbled across the right place. At Billows Lighting & Design, we are the home of all things lighting. Our team of Top Rated Local® Lighting Experts in Berlin can help you find the perfect lighting solutions for your home or office. Whether you need to simply upgrade your home’s outdated lighting or are looking for an elegant light fixture like a chandelier or pendant, we’ve got something for everyone in our Berlin lighting showroom. Schedule an appointment with one of our lighting experts today. Learn more below about the specific lighting products you can find in our lighting store and how we stand out from other lighting suppliers in the Berlin community. When you shop our lighting products at Billows Lighting & Design Center, you can find lighting solutions that are both functional and beautiful. Make a statement and efficiently illuminate your home with the lighting products you’ll find in our selection. 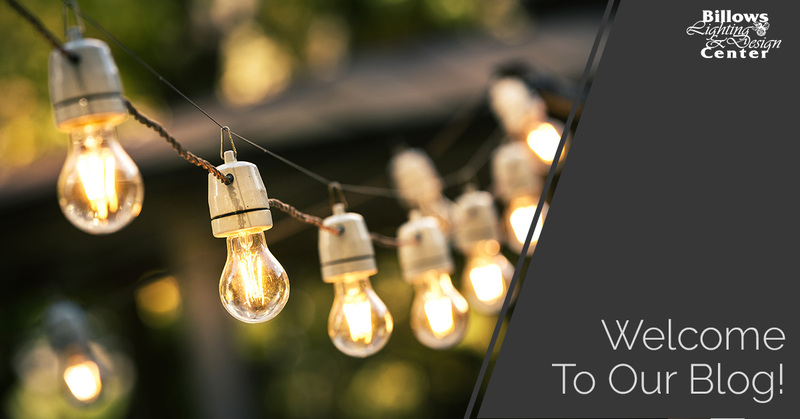 On top of offering those several lighting products for your personal home, we can also help you find lighting solutions for your vacation home. For your convenience, we give our clients the opportunity to shop by style or shop by room, too. Looking for home accents and furniture? You can find that in our lighting store as well. We’re your reliable one-stop shop for all of the items that turn your house into a home. Billows Lighting is a family-owned-and-operated business that has been helping connect homeowners and business owners with their ideal lighting solutions for years. We have more than 3,000 items on display in our 10,000-square-foot lighting showroom, which is why we’re proud to have the largest display of lighting fixtures and home decor in the Berlin market. We offer light fixtures from some of the most trusted, best-known lighting brands and manufacturers in the nation, ranging from Visual Comfort to ELK Products. Our team is driven by a passion to serve and a desire to delight, and you can expect excellent customer service from every one of our lighting staff members every time you walk into our Berlin lighting store. Learn more about Billows Lighting here. What are you waiting for? Reap the benefits of beautiful, up-to-date lighting and shop at our Berlin lighting showroom today! You can browse our lighting selection online, but we recommend stopping by Billows Lighting & Design Center in-person to get one-on-one, personalized assistance from our knowledgeable and experienced lighting experts. For more information, feel free to contact us by calling (856) 281-1399 or by completing our online form. We look forward to meeting you soon!